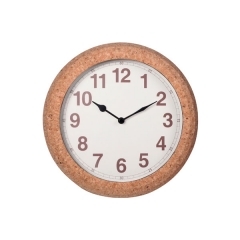 This sophisticated cork wall clock is the best of natural elements and contemporary style. 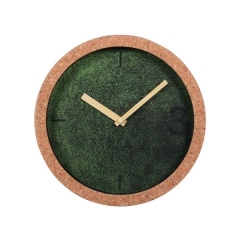 The beautiful cork color contrasts with the green to create striking design. 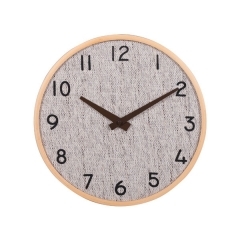 Give your home or office decor a statement piece that gives you more than style with this sophisticated creative wall clock. 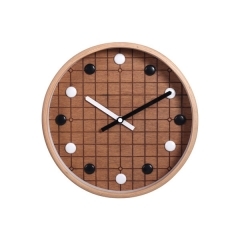 The elegant wood is a beautiful contrast to the contemporary design. 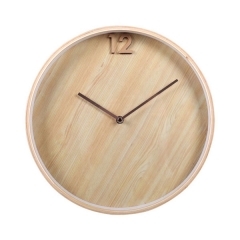 A simple design wall clock, wood veneer pattern dial with 12 number and gold color hands, is suitable for nature decoration style. 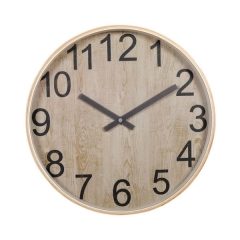 With wood veneer pattern dial, a modern wooden wall clock, semi-transparent hands and plywood clock case. Natural wooden element design.